In the midst of adverse market conditions, automation devices must be manufactured to a higher standard in terms of quality, cost, and delivery time. The requirements of making automation devices high-speed not only involves increasing the productivity per hour but also includes machining at a higher density than the existing method in order to upgrade the product quality, such as the appearance. The high-speed equipment is also required for achieving this high-density production within a short period. Adopting a high-power drive actuator is not the only point we must be aware of here. We also need to select a configuration plan where the servo stiffness becomes high so that the control stability can be secured during driving. In this case example, the components consisting of a linear motor and closed loop control are adopted for precision positioning control. An air cooling method is adopted as the heat insulation measures for the linear motor. The aluminum cooling fins having high heat conductivity (Fig.1) are installed at the motor portion. To improve the actual efficiency of machining per hour, high acceleration and deceleration control must be adopted so that the motor reaches the maximum speed within a short period. However, without selecting an acceleration and deceleration control program allowing a smooth transition, a large moment of inertia (shock) applies when the motion stops, which degrades the durability of the movable parts. Since the two issues of choosing the correct actuator for high-speed and choosing mechanical components that support high speed are correlated, it is critical to incorporate both when developing an optimal design for high-speed equipment. If the two issues are handled separately, the engineer working on b) tries to develop a high-precision and high-rigidity mechanism, which tends to be a heavier structural object, while another engineer working on a) will develop an expensive system as he plans to adopt high-precision control and high-power driving design. To develop an optimal design by considering both issues, the equipment development can be carried out in line with the concept introduced hereinafter. By following this concept, it is possible to develop a lightweight yet highly rigid design by incorporating both the actuator’s motion characteristics and optimal mechanical structure. Adopt a rib structure for the movable components to the extent without affecting the rigidity. Description: Develop a lightweight design for the movable body without decreasing the strength. Keep the point of effort and the center of gravity on the movable body as close as possible, and minimize the effect of the moment of inertia. Simplify the structure and reduce the number of the components of the transmission drive mechanism to develop a highly rigid structure, thereby increasing the servo stiffness. Description: Reducing the number of components used for the motion area (especially the number of joints between the actuator and the movable body) can prevent servo stiffness from being degraded and can also minimize unstable vibration during control. For the triple axis drive using the X, Y, and Z shafts, the load placement must be optimized, such as by moving the load applied on a shaft used for high-speed driving to the other shafts. Description: To use the Y-axis for high-speed driving, design the structure so that a large portion of the load will be applied to X-axis and Z-axis while reducing the load on the Y-axis movable body. 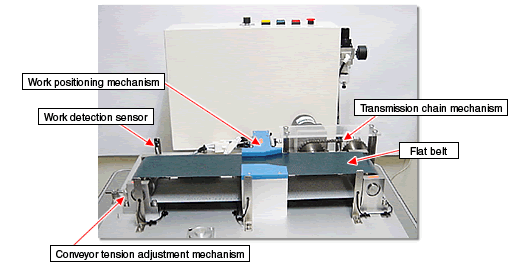 Description: For the mechanism used for repeated reciprocating motion, the actuator joint of the movable body is prone to fracture. Thus, selecting an appropriate cable carrier (Fig.2) is critical. If an inappropriate cable carrier was adopted, it hinders the cable carrier motion, which may degrade the positioning accuracy or cause cable disconnection or abrasion of carrier components (made of plastic). Ultimately, unexpected problems, such as the equipment contamination by wear debris, could occur. 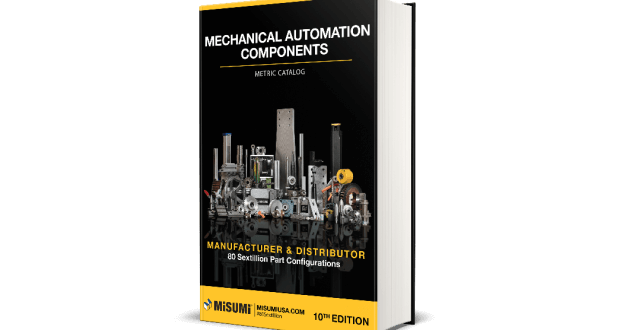 Accomplishing the right high-speed automation devices can require numerous types of mechanical components. It is crucial to narrow down the right specifications for your application. Make sure to take these tips into consideration as you improve and develop your designs. Happy Designing!